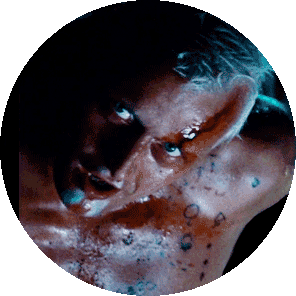 Like Rutger Hauer’s infamous closing scene in ‘Blade Runner’, we’ve seen some great movies, some less so, but the reviews will always be available here for our press clients. Register to download our movie reviews ahead distribution. All our reviews are embargo’d until each film goes on general release. Be kept aware of our latest movie reviews, including those currently unreleased or still under embargo. If you would like to commission an article please fill in this online form, so we can get a better understanding of your requirements. By registering with our press area we can add you to our monthly advance release mailing list and let you know what reviews are available for consideration and which ones are being planned. Whilst emailing reviews is fine, sometimes it can be an unreliable delivery service. Suddenly changing an article’s formatting or being wrongly identified as junk mail, email has its drawbacks. By registering for our password protected press area you can securely download our movie reviews in both MS Word and PDF format and avoid having to chase any errant emails. All of the publicly visible movie reviews on No Spoiler Reviews are for movies that are already out. Once a movie goes on general release we only then add our movie reviews to the main site. By registering for our Press Area you can preview our reviews to see if it meets your publication’s requirements. A lot of publications use and rely upon FTP access for quick moving information. Asa a client and a member of Press Area if you need FTP access to our movie reviews. That said if you would like us to work with FTP server system simply let us know by email at info@nospoilereviews.com. All of our reviews start life written in English. However we can also supply our movie reviews, quickly and cost-effectively in different languages for press area clients. If this is something that would like for your publication then please let us know which language(s) you are interested in by emailing us at info@nospoilereviews.com so we can add it to your order.